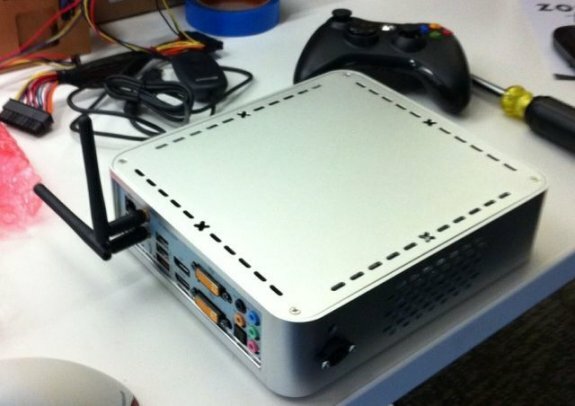 The Verge heard rumors that Valve may enter the hardware business with Steam Box, a sort of gaming console dedicated to PC gaming. The system is said to be based on the Alienware X51, and the basic specifications will include an Intel Core i7 processor, 8GB DDR3 memory, and an NVIDIA GPU. Any PC gaming titles will run on the device, and even rival gaming services such as EA's Origin will be supported. Part of the goal of establishing a baseline for hardware, we're told, is that it will give developers a clear lifecycle for their products, with changes possibly coming every three to four years. Additionally, there won't be a required devkit, and there will be no licensing fees to create software for the platform. We're hearing that a wide variety of USB peripherals will be compatible with the boxes, though it will likely ship with a proprietary controller. It's possible that the controller will even allow for swappable components, meaning that it can be reconfigured depending on the type of game you're playing. Think that sounds odd? Well Valve filed a patent for such a device last year. According to Kotaku, their unnamed tipster claims that Valve currently has between five to 10 people working on the Steam Box project, led by Valve team member Greg Coomer. Oddly enough, Coomer posted word on his Twitter page months ago that he was building a small PC. In a tweet from November, he even posted a picture of this PC. The message itself was, "Built this tiny PC. i7 quad core, 8GB ram, Zotac Z-68 mobo w/ onnboard Nvidia mobile gfx. Runs Portal 2 FAST." More details are expected later this week at the Game Developers Conference, or in June at E3 2012.